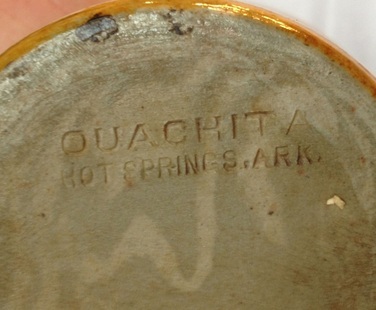 The Ouachita Pottery Company of Hot Springs established that art pottery operations were possible using Arkansas clays. With skilled personnel, Ouachita Pottery in 1906 produced a range of artistic pottery, including swirl/missionware by its creator, Arthur Dovey. Dovey, an itinerant potter who worked at Rookwood Pottery of Cincinnati, Ohio prior to coming to Hot Springs in 1905, he later came to Benton in 1909. Importantly, Dovey brought his swirl/missionware concept and worked with Charles "Bullet" Hyten and others to produced swirl/missionware art pottery. With respect to the development of art pottery manufacture in Arkansas, the most important historical fact of Ouachita’s production was the manufacture of swirl/missionware pottery. 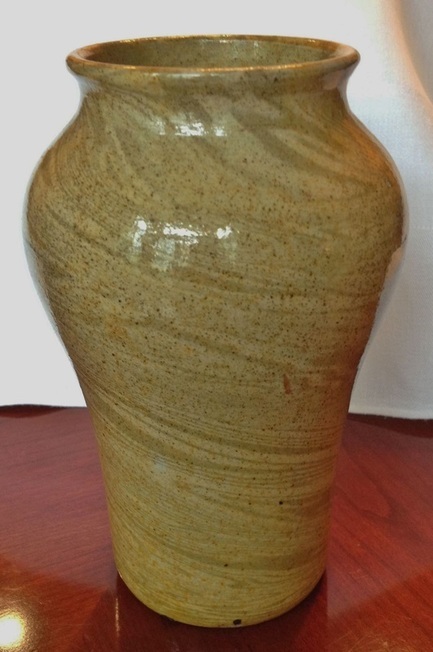 Paul Evans, author of Art Pottery of the United States, located photographic evidence (shown below) that clearly shows pieces of Ouachita Pottery's swirl/missionware. Moreover, Saline County historical records reveal that Arthur Dovey lived and worked in Benton, Arkansas. 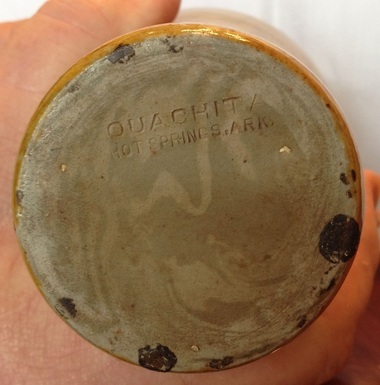 This evidence (that now includes the marked Ouachita swirl/missionware shown above) shows that the Ouachita Pottery Company is the foundation for swirl/missionware manufacture at the Niloak Pottery Company.